I always thought everyone supported the F Express Plan. Who wouldn’t want more train service and express train options for underserved and overcrowded parts of Brooklyn? It seemed like a no-brainer to me. Boy, was I naïve in this thinking. We like to hope that there’s no such thing as bad publicity. Even if Kuntzman is against the F Express Plan for reasons unknown — or at least, just plain wrong — to us, he’s keeping the issue on the forefront of public discourse in the fair borough of Brooklyn. But I can’t stress enough the F Express Plan as we propose it — with added V service past Second Ave. and the utilization of existing, unused express tracks — would be a boon for an undertaxed neighborhood. The MTA is willing to make it happen when they can; the rest of Brooklyn should cheer this news. When last we checked in on the F Express Plan at the end of August, we had assumed things were at a standstill. The MTA had finally explained the Culver Viaduct rehabilitation project in a way that highlighted exactly why Brooklyn wouldn’t be able to enjoy express service along the Culver line until 2012 at the earliest. But yesterday, The Gowanus Lounge broke the news that now the MTA has changed its stance on this express service. According to Andrew Inglesby, assistant director of government and community relations at the MTA, who spoke on Monday the Carroll Gardens Neighborhood Association meeting, the MTA could grant express service to the F line next year if the rehabilitation project falls behind schedule. If the plan is on time, F express service is off the table until 2012 or early 2013. The transit official did offer possibility that if work on the viaduct project is “significantly delayed” by a year or more, then the Transit Authority “will go ahead and examine the possibility of putting in an F Express.” Express service would depend on the availability of cars and funding. So, an F Express could make an appearance for a year or 18 months, if there is a delay in the big repair project. Wouldn’t that be a tantalizing tease from the Transportation Authority? Knowing their track record on major construction projects — Times Square BMT corridor or that Cortlandt St. project, anyone? — we have every reason to believe that they could fall behind. So for a few months, Brooklyn could end up with our coveted express service. But only for a short time before it has to be shut down again. Inglesby also verified information about the express plans we had already assumed. 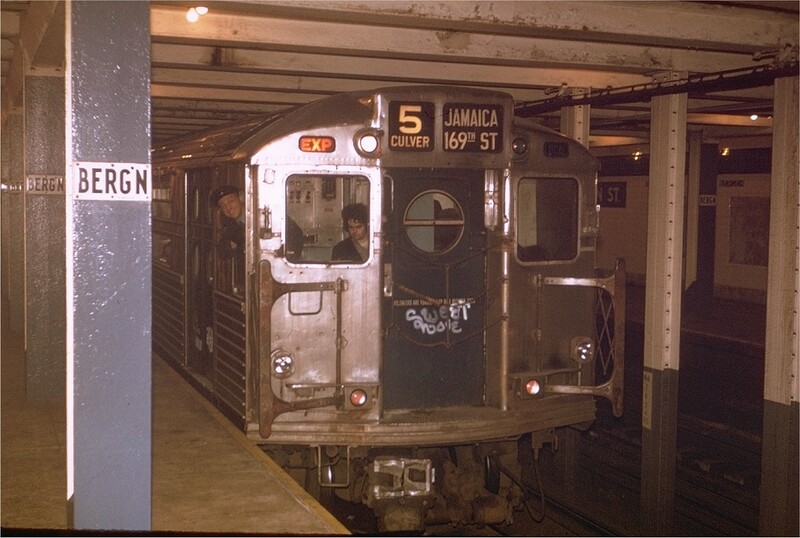 The F trains running express would probably stop at Jay Street, 7th Avenue and Church Avenue. These trains would bypass the Bergen St. station (destroyed express tracks notwithstanding), Carroll St., Smith-9th Sts., 4th Ave.-9th St., 15th St., and Fort Hamilton Parkway. At The Gowanus Lounge, one of the commenters was dismayed at the lack of express service in the Windsor Terrace and Carroll Gardens areas. Simply put, the express trains can stop only where there are express platforms, and those stops listed by Inglesby are the ones on the Culver Line with that option. For those of us pushing the F Express Plan, this news comes as a pleasant surprise. While I doubt the MTA would fall an entire year behind on the F train, at least they are dangling this carrot. They know we want express service on the Culver Line; they want to give it to us. As soon as that service can become a reality, we’ll have express service on the F line. If that’s not a resounding victory, I don’t know what is. Update (10:54 a.m.): Metro chimes in this morning with an article on the F express meetings. Of note are two statements from city officials. Councilman Bill de Blasio noted that the MTA wouldn’t acknowledge these plans if they didn’t have the resources to devote to express service on the F line. I have to praise Soffin. He’s been very responsive in dealing with and addressing those of us heading up this grassroots movement. It’s good to see the MTA listens when its riders raise their concerns. It gives us hope that the MTA will respond to issues in the rider report cards as well. Everyone likes the F Express plan. Over 3600 people have signed the petition, and MTA board members have voiced their support. The plan would even give meaning to the neglected V train. But the MTA is throwing up a roadblock. Over and over again, the MTA keeps saying that construction on the Gowanus Viaduct renders this plan impossible until 2012. Now, those of us who have been most vocal in the push to get this plan approved have never really understood how the work on the viaduct renders express tracks — unused tracks that would cost literally billions of dollars to build today — out of service. The MTA has said that an express F train cannot be considered until 2012, upon competition of the Gowanus Viaduct restoration. As you know, in addition to the two unused express tracks between Bergen St. and Church Ave., a single unused track exists thereafter up to Kings Highway. Anyone who has ridden the elevated portion of the Culver line has seen the single express track between Church Ave. and Kings Highway used sporadically despite the scheduled Gowanus Viaduct project. We fail to understand what relevance the Viaduct has to the elevated express track between Church Ave. and Kings Highway, or, for that matter, the underground express tracks beyond the Viaduct, from 7th Ave. to Church Av. Additionally, we remain unconvinced that the MTA’s 2012 goal is reasonable timeframe for the completion of work on the Viaduct, and, transitively, full restoration of express service. The MTA has also cited insufficient demand as an argument against restoration of express service on the F line. Based on the community’s loud voicing of their concern over this matter, including an online petition with more than 3,500 signatures, we believe the demand will be particularly evident when service is improved, and the MTA is offering its riders a more reasonable commute. At a time when the city’s leadership is attempting to convince more New Yorkers to step out of their cars and into mass transit, a fare hike without tangible improvements would severely undermine this effort. While, as the Gotham Gazette notes, it’s not politically risky for anyone to oppose a fare hike, Felder and Simcha are using their platform to make a good point. We want more information on the Gowanus Viaduct. Will it really take until 2012? Is there no way to accommodate express service on the rest of the BMT Culver line in Brooklyn? This line would have a positive impact on many people’s lives in Brooklyn. It should happen, and we shouldn’t have to sit through anymore vague answers as the MTA stalls on another construction project. Keeping momentum. That’s always the key to a successful public awareness campaign, and right now, that’s what Gary Reilly and the rest of us pushing for F express service are trying to do. Therein lies the part we must stress. As Gary has repeatedly pointed out, those express would cost billions of dollars to build, and yet they sit empty and unused. The MTA has, at its disposal, express tracks it could use to ferry thousands of straphangers to and from Brooklyn. But they remain empty. While I understand the argument about the fire and the Culver Viaduct work, I have seen F trains run express this spring as crews work on the local tracks. There doesn’t seem to be much wrong with the signals at Bergen St. The petition now has nearly 3000 signatures. If you haven’t signed on to it yet, do so now. And let’s keep pressuring the MTA to bring this plan to fruition. We want express and local service along the Culver Line in Brooklyn. It’s time. For the last few weeks, Brooklyn residents have been pushing hard for express service on the F tracks in the city’s most populous borough. Thanks to the efforts of Gary Reilly, the MTA board has expressed support for the plan, and last week’s press conference was a resounding success. Part of the plan calls for redeeming the V line. For now, the V train, running for just 17 hours Monday-Friday, is a lonely train. Running local from Forest Hills, the train terminates at the Second Ave. station as the F travels onward to Coney Island. As an added benefit to V train riders, since this train doesn’t go anywhere in Queens or Manhattan that other trains don’t, it allows for either a neglected ride or a spacious ride, depending upon your viewpoint. So for every rider like Nguyen, there are others who cannot stand the V line. It, for some unknown reason, symbolizes the problems with the MTA: It’s a rush hour-only line that charts familiar territory. Who needs another one of those, right? In fact, over on the subway message board Subchat, invective against the V train exploded when this article hit the Internet on Monday. And that is where our F train petition comes into play. With the F train petition, the F would run express during the times the V runs from Jay St./Borough Hall out to Church Ave. (or possibly Kings Highway). The V would no longer be a lonely train; instead, it would ferry thousands of commuters through Carroll Gardens, Park Slope, Kensington and Borough Park. While those riding in Queens would probably still enjoy their empty and spacious train cars, people riding in Brooklyn would finally have more room than they do on the F with its cattle-car-like conditions. So once again, we all can see how our F express plan would help make use of an under-utilized subway line in New York City. It’s time to make this plan reality. After a few weeks of campaigning and a last-minute push in support of the petition, Gary Reilly’s F Express petition has reached the MTA. Based on Gary’s reports, it sounds like the tide is in our favor; we may yet get our wish for express service on the Culver Line into Brooklyn. The best moment of the meeting occurred about halfway through. Board Member Andrew B. Albert, whom I’ve never met, took a moment to express support the F&V petition. Albert: I’d like to second what Mr. Reilly said about restoring the F express train in Brooklyn. Kalikow: Was this something that was always intended when the express was shut for repairs originally? Albert: Yes it was, but after the horrible fire we had at the Bergen Street station, it was put on the shelf. After the meeting, I had chance to speak briefly with Board Member Norman Seabrook. The bottom line: Our pleas are not falling on deaf ears. So let’s do this. All public transportation advocates who want to see improved subway service who don’t have prior commitments this afternoon should support this plan. We can make it happen sooner. These are exciting times for Brooklyn subway riders angling for better service. After the jump, the full text of the press release. We’re coming down to the wire on the F Express/V local petition. Gary Reilly of Brooklyn Streets created the petition a few weeks back. I analyzed his plan two weeks ago and reiterated my support yesterday. The desire for change is palpable; I put a petition for better service on the F&V online, and nearly 2500 people signed on in under two weeks! People want better transit options. We need dedicated streams of funding for transit, and a re-imagining of the system that looks at the historical inefficiencies left behind by the disjointed history of subway construction and brings the system to a level of service better than any city in the world. Demand it! I’ll be delivering the petition to the MTA Board tomorrow morning at 9:30 sharp. The meeting is open to public comment, but you must arrive by 9:00 to sign up. So go forth, subway riders, and demand better service. The petition, currently at 2453 signatures now that I’ve added my name to it, can be found here. Let’s crack 2500 before Gary brings it to the MTA tomorrow.